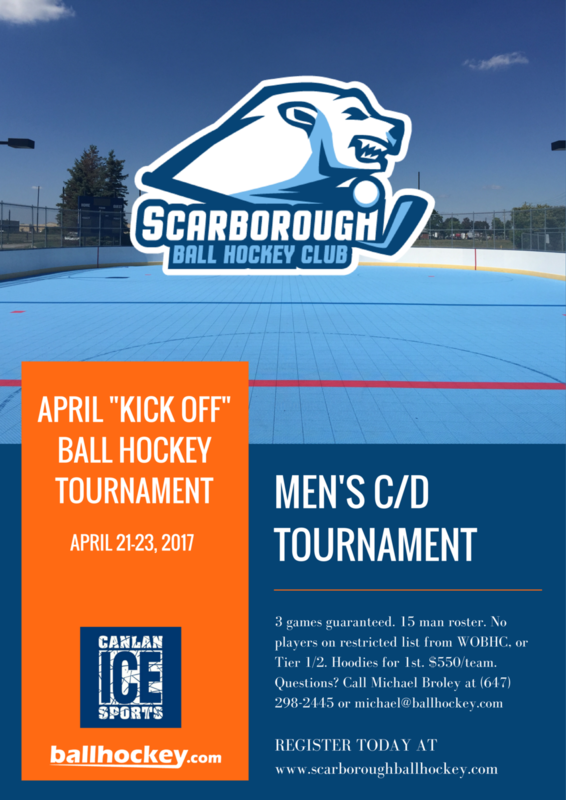 With the kick off of the Scarborough Ball Hockey Club taking place this Spring we are excited to announce our inaugural kick off weekend tournament! We're accepting 12 teams in Men's C/D. Roster restricted to no WOBHC restricted players or Tier 1 / Tier 2. If you are looking to get out of the house and enjoy some ball hockey action this spring... the time to register is now! Clubs in Barrie, Brampton, Hamilton, Niagara & Scarborough are gearing up to kick off their spring season. Leagues have various discounts and incentives to register early so make sure you are taking advantage of them! Both the Barrie Ball Hockey Club & Niagara Ball Hockey Club will be offering youth competitive divisions for Under 18, Under 16, Under 14 & Under 12. For youth competitive teams out of other cities we will be hosting a Youth Provincial Championship July 14-16 in Niagara. We are starting a new league, the Scarborough Ball Hockey Club that will be playing out of the CanLan Sports Complex. This beautiful single rink facility is looking for men, women & youth to help launch the league. Learn more at scarboroughballhockey.com. In addition to the various leagues a number of new events have been posted that will be happening this year. You can check them all out by clicking here. For those of you who are looking for different ways to get involved; we are always looking for timekeepers & referees. Please reach out to a rink manager if you are interested in pursuing part time employment. Finally, we are preparing the next issue of the ballhockey.com Top 25 Ball Hockey Teams in North America. We are looking to start a list for Women's teams as well so please submit your team profile to michael@ballhockey.com. Congratulations to the Greater Boston Saints for earning their second straight Superbowl bye week Invitational title, this years game was won in dramatic overtime battle against the Buffalo Fusion. In the quarterfinals the Saints pulled away from the up and coming Jersey Fresh, 4-0. The Fresh had made the playoffs in their first trip to Harrisburg which was quite an accomplishment. In the Semis, The Saints recovered from a 2-0 1st period deficit, and controlled the speedy Penn Hills Arsenal for the remainder of the game for a hard fought 4-2 win. Then in the Finals the long awaited perennial big rink powerhouse Buffalo Fusion, who pulled away from Phoenixville Graffix in the semis. A back and forth affair fittingly went to overtime, as Fusion's Chris Haynes scored with 17 seconds left in the 3rd to tie it. In overtime the teams traded powerplays and punches. Very late in overtime Tournament MVP Andrew Guduco fed a wide open Jeremiah Lynch in the slot, who put it past Fusion goaltender Brandon Junik. Mr Junik played incredible in the playoff round despite the loss. Tournament organizer George Tarantino would like to thank all who put the time and effort into coming to compete and said "it is always flattering that you all choose to come to this tiny little town for some top notch ballhockey!" Pete Van Ryn Memorial Tournament is Sold Out! Waiting list started. 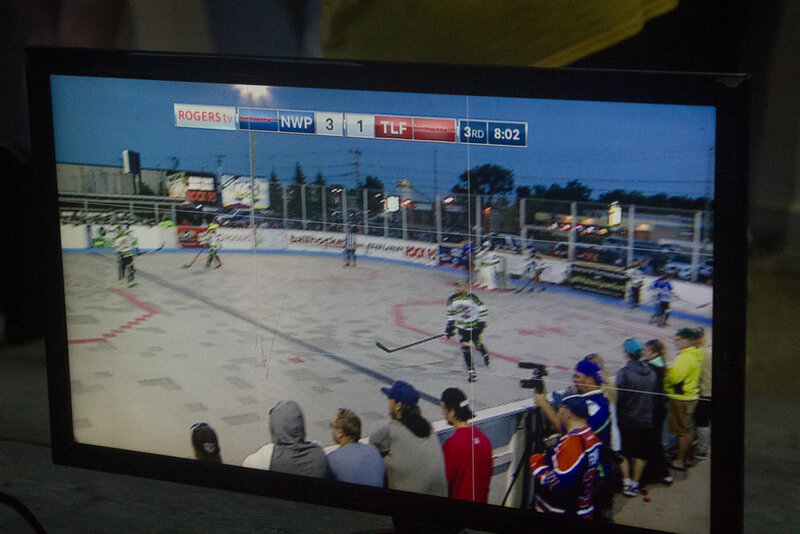 The PVR Tournament to be held at the Niagara Ball Hockey Club February 17-19 is now full with 30-32 teams registered to play in the Men’s C, D, Over 35 and Co-ed Tournament. If you are still hoping to get in, get your team on the waiting list quick directly with Sara at sarak@ballhockey.com Teams from around Ontario are travelling in with 3 teams attending from Parry Sound. Should be a blast and a good cause. 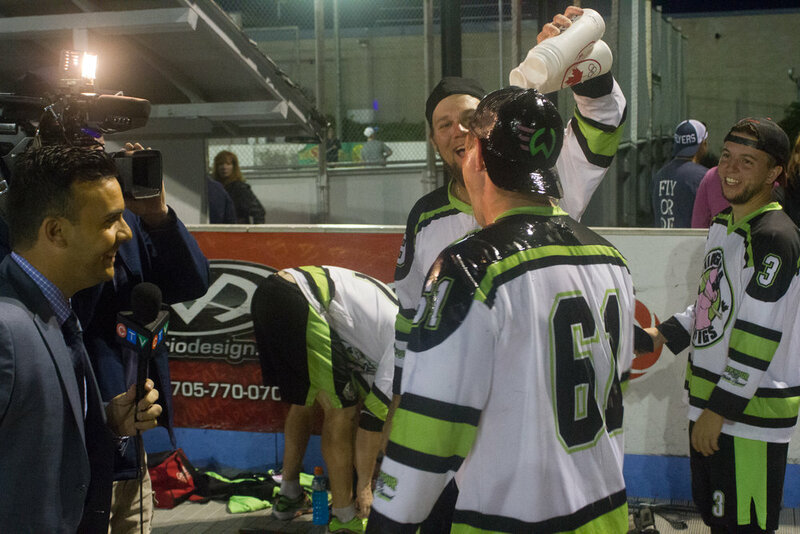 What an amazing year of ball hockey 2016 has been. As we prepare to release the December update to the Top 25 Ball Hockey Teams in North America we are excited to announce our 2017 dates for our major tournaments. We hope this gives your team all the time they need to make it out to compete this year. We look forward to seeing you on the floor. This February the 28th Annual Pete Van Ryn Memorial Tournament will take place at the ballhockey.com Athletic Centre in St. Catharines. This event feature's 5 divisions of play; Men's B/C, Men's D, Men's over 35, Women's & Co-Ed. This tournament is in support of Growing Up Through Sports and every team entry will help support one youth to play hockey! This tournament always sells out so make sure you get your registration in asap to Sara. After a hard fought season and playoffs last night they won a championship as team mates. We'd imagine Jim must have felt a lot like Gordie Howe when he was able to lace up the skates with his son Mark in Hartford. Howe was once asked about playing with his son and said "I always refer to that as my greatest accomplishment and excitement". Check out the tweet from Jim below for a pic post game! The Montreal Red Lite All Star team continued to dominate at the Canadian National level, winning their 12th National title and securing their spot at the top of the list. We have left the Midnight Express in the two spot ahead of the Niagara War Pigs, but these two organizations are neck and neck in Ontario, with Midnight winning the Summer Tier 1 League very decisively, but The War Pigs taking both the North American and WOBHC Championships in 2016. The War Pigs struggled at the Nationals this year, but remain a top indoor and outdoor team in Canada. The Niagara Rebels have won big cash at the Bauer Clash of the Titans in 2013 and 2015 and remain a solid Ontario team in the 4th spot in the list and 15 teams will get a shot to knock them down at this year’s Bauer Clash of the Titans. Continue reading and see the whole Top 25 list by clicking here (.pdf). 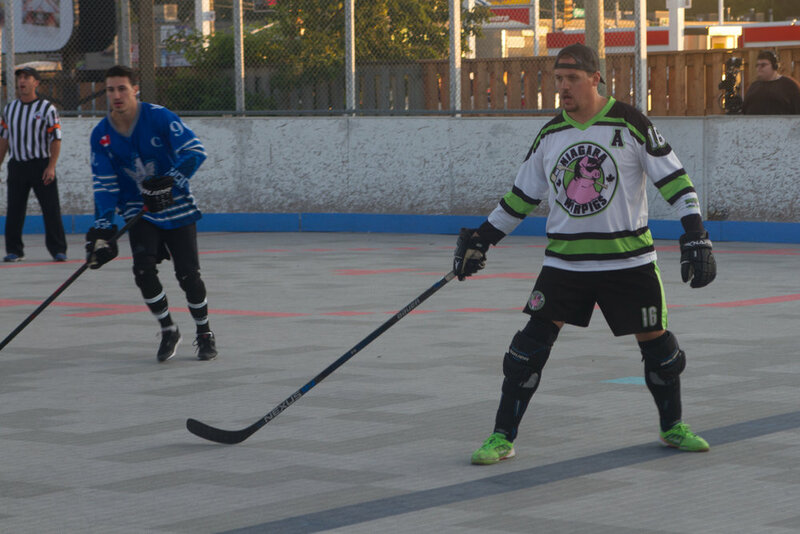 For the third year in a row, the Men's "A" division saw the Toronto Leafs and Niagara War Pigs face off. With the Toronto Leafs having won the first two meetings the War Pigs wasted no time getting the game started. Fantastic goaltending on each end of the floor saw the first period remain scoreless. The War Pigs went into the second period breaking the tie with a goal by Darren Chapman just 47 seconds into the period. Munavar Hamdani and Michael Neilson also scored to give the Pigs the 3-0 advantage. Matt Tremblett set the tone for the third period scoring scoring just 24 seconds into the 3rd period to give the Leafs a two goal deficit. The action was fast and furious at both ends for the remainder of the period but after the Pigs got an empty net goal the writing was on the wall. 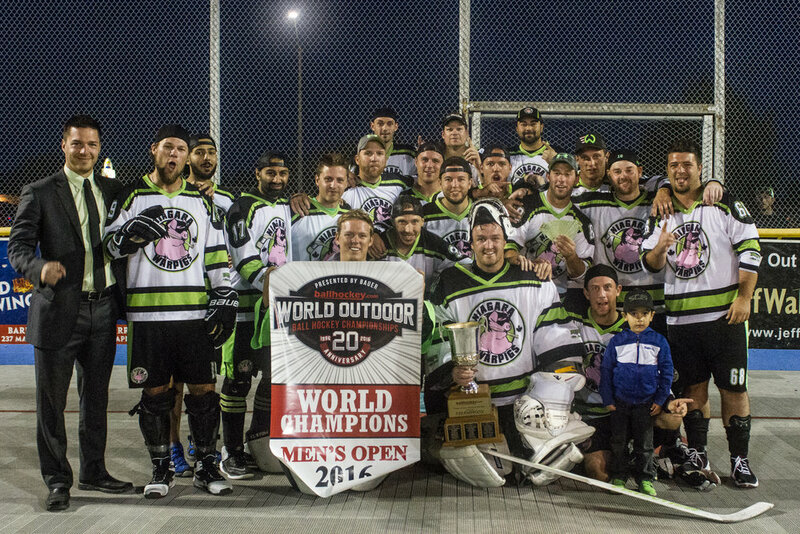 Congratulations to the Niagara War Pigs for winning the Men’s “A” Division yesterday at the World Outdoor Ball Hockey Championships. They defeated the Toronto Leafs 4-2 to win their first WOBHC “A” Championship. The winning team is Marshall Boyes, Graham Campbell, Jay Capaldi, Jeff Capaldi, Darren Chapman, Sandeep Dhaliwal, James Downes, Michael Formica, Gage Gonyou, Munavar Hamdani, Bram Leggat, Matt Martello, Ryan Nagy, Michael Neilson, Kyle Owsijenko, John Rorison, Michael Stewart, Brian Szolga, Eric Tardif & Joel Vanvliet. 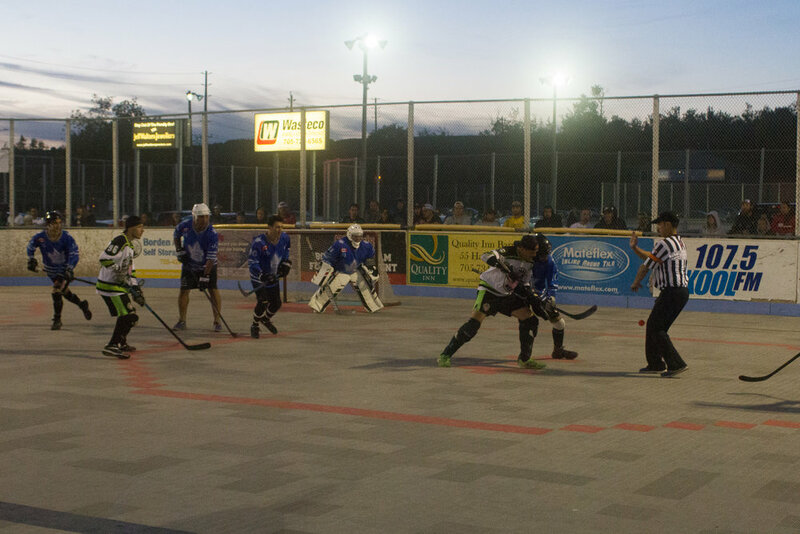 The 2017 World Outdoor Ball Hockey Championships will be taking place September 22-24, 2017.